This incredible compilation of moving music and video images taken from The Legend to the Treasure Series is guaranteed to take your focus straight up to the Heavens. 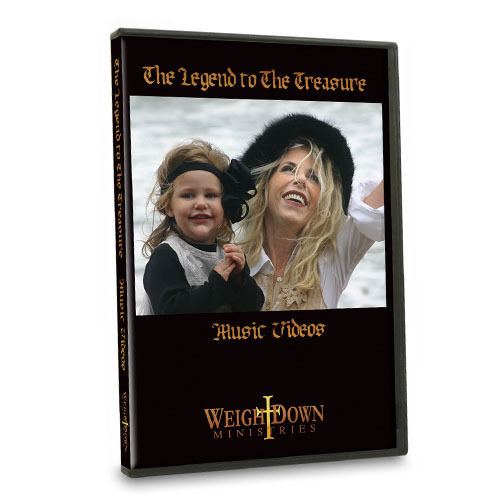 Included are images captured during the filming of the Legend to the Treasure Series – from the Remnant Fellowship Choir, to the ocean scenes, light houses and vineyards of Long Island, New York, to the beaches of Destin, Florida; every person in the household- from oldest to youngest - will love this inspirational Treasure DVD. This Treasure music was all written, composed, and arranged with lyrics by Michael Shamblin in a matter of about a month’s period on the shores of Destin, FL. Michael will first get inspiration, sometimes in dreams or vision, and wake up and write down the melody line – usually inside of a few minutes the words and harmony all come together. Michael then, using the computer, is able to lay down all the music using a keyboard. Tish Dunn, who is an accomplished musician, is the musical Baruch and makes sure that she gets all of the music that Michael is playing written down on paper. The Remnant Fellowship Choir (RFC) members, led by David Martin, Michael, Tish, and Gina Graves, have come together for the sake of God Almighty with no selfish ambition and therefore were willing to be directed quickly to learn their parts. David Martin also helped with the recording fo the choir and the Remnant Fellowship Worship Band. B.B. Barcus helped with the mixing and recording. All of this was overseen by Michael, trying to ensure that what God has sent out has come together so that you ears can hear what the Heavens have ordained. This work came together at lighting speed, which are all signs that God alone is the Creator for this treasured, religious experience and is reaching out the draw in a Holy Priesthood. What God is doing is absolutely unprecedented. Don’t miss this Treasure!